JOIN US AND LEARN TO FLY! Our beginner introductory Acro Yoga classes are there to help you to launch your Acro yoga practice in the best of conditions. It will cover the fundamental aspects of Acro Yoga and basic positions and transitions. The journey ceremonially begins and ends in a circle. This most ancient shape represents our desire to come together as equals to co-create harmony, joy and community. Moving, breathing, and sounding as one, we open to one another and the divinity which unites us. Partner Flow is a creative sequence of mutually beneficial partner asanas and stretches which give us the platform to practice self-acceptance, receptivity and communicating our needs. Central to this experience are compassion and truth (ahimsa and satya), the first two Yamas of Yoga. When two become one, we become breath in motion together. Spotting is the art of listening so fully that we can serve our partners by offering only what is needed to set them free. Inversions turn our world upside down and bring out our childlike nature. Inversions invite us to trust our spotters and ourselves to become more empowered and joyful. Spotting techniques develop deeper levels of confidence and safety, building the foundation for acrobatic partner skills. Partner Acrobatics is the most dynamic expression of this work. Greater levels of risk amplify the need for heightened trust, concentration and presence. With proper technique, many seemingly impossible feats, become not only possible, but fun. Having established a firm foundation, we can celebrate the ease and joy of working together. "We're never so vulnerable than when we trust someone - but paradoxically, if we cannot trust, neither can we find love or joy." Walter Anderson. Therapeutic flying utilizes gravity and metta (loving kindess) to release and open the flyers' spine while grounding and empowering the base. Here the flyer receives all the benefits of an inversion without any of the effort. This is the nectar of AcroYoga, aka Anti-Gravitational Spinal Elongation Therapy. Thai Massage is a healing art that restores balance to the body. It is rejuvenating for both the giver and receiver, as it focuses on the cultivation and transmission of metta (loving kindness). Channeling the warmth of the heart into the hands, it uses passive yoga stretches to open energy lines in the receiver. After a therapeutic flying session, the flyer becomes the giver, offering all their gratitude for what they just received from the base in the form of Thai massage. Haein Cho is a Yoga teacher and the only level 2 Acroyoga teacher in Belgium, sharing her passion in Europe and Asia. 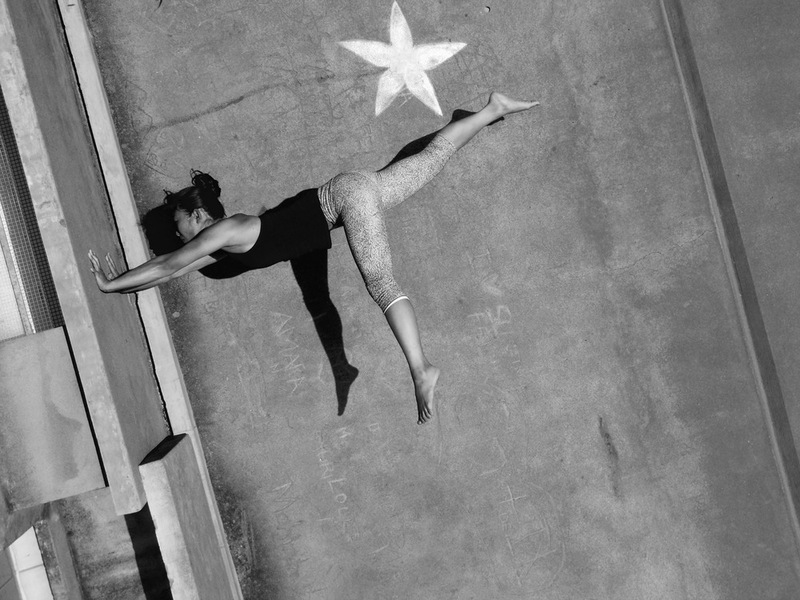 With a background in Aquatic body work, she brings in a unique softness in her Acro Yoga practice with a fine balance between effortless movement and body control. Each sessions are 3 hours and will start with foundation and conditioning work and finish with Thai massage.